The magazine includes a few feature articles about OWs, news from over 60 Old Westbournians as well as flagging dates for your diary. 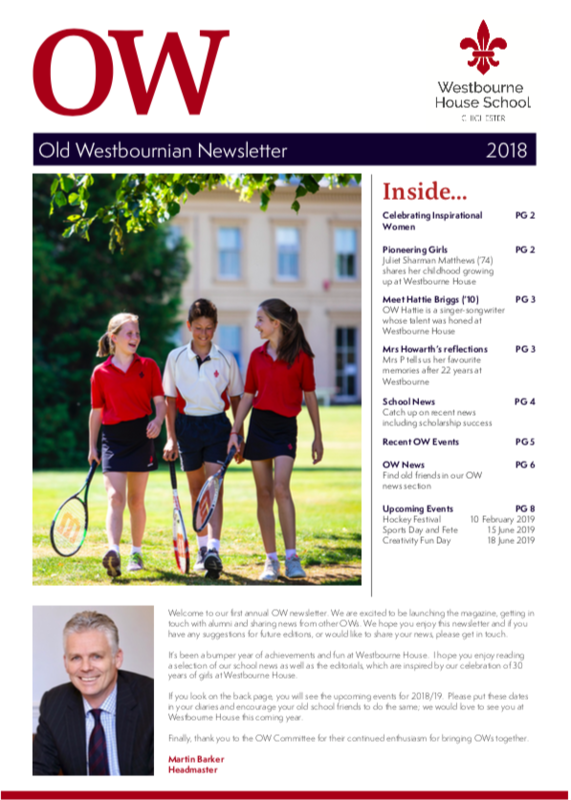 If you are an OW and would like to receive a copy, please email your address to old.westbournian@westbournehouse.org. You may also send in your news and photos for the next edition to the same email address.